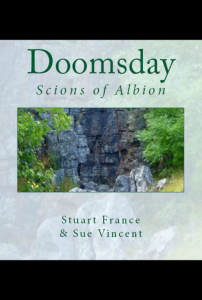 Books by Stuart France and Sue Vincent are available in paperback and for Kindle via Amazon. Sue Vincent – UK – USA – France – Germany – Japan – and India. You can download a free Kindle app for PC, Mac, android and other platforms that allows you to read the books available, even if you do not own a Kindle.. and there are thousands of books to choose from, including many classics, and hard-to-find volumes! With a huge catalogue of free, discounted and rare books to choose from it is a treasure trove for bookworms. You can download the free Kindle reading app for your device here in the UK, or here in the US. A unique and personal telling of the Gospel According to Thomas sheds a clear light on the underlying symbolism. Two stories, side by side and seemingly unrelated cast a new and unique light on one of the scrolls from the Nag Hammadi Library. In this retelling the words of the ancient codex are given a startling relevance to the eternal quest for truth faced by every one of us. The Mabinogion, a collection of ancient and almost universal tales, is retold with great beauty and humour in an eminently readable style. The ancient tales of the Mabinogion contain themes which are echoed through all times and cultures. 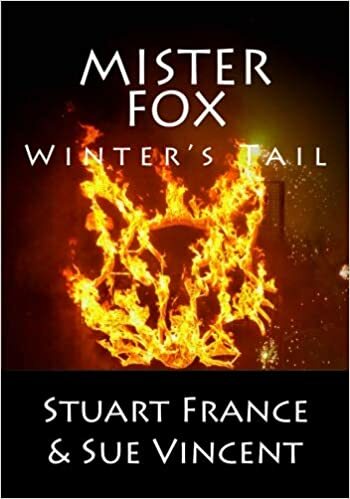 This lyrical and poetic retelling captures the ancient spirit of the bard and invites the reader to share the tales once more around a common hearthfire. “Very inspiring.” Philip Carr-Gomm. The question of value goes to the heart of who we are, what we are and why we think we are here… A tendency to make certain assumptions about our environment appears to be intrinsic to our nature, yet the meaningful existence we crave can only ever be granted by a ‘higher power’ which we now seem loathe to recognise outside of ourselves… We have always looked to those best qualified to answer our most fervent questions but what if they too have fallen foul of the ‘Auction-House of Things’… And what of Beyond? Friedrich Nietzsche, philosophical and psychological genius of the nineteenth century, in his book, ‘Beyond Good and Evil’, presaged the breakdown of the Western Aristocratic ruling elite and the irresistible forces that led to two catastrophic world wars. This new poetic interpretation of his master work teases out still relevant lines of thought for the reappraisal of our rapidly disintegrating current world order. Two friends discover a mysterious blue light in an ancient church and the landscape of history seems strewn with beheadings and symbolism. A romp through the ancient landscape and churches of England brings Wen and Don face to face with a strange light as they find their way through a tangled web of history; unravelling myth, legend and religious iconography. What does the rainbow of light signify… and why have so many saints lost their heads…? Arcane lore and a vision that spans the ages meet in this second romp through an ancient landscape. Games, fairytales and nursery rhymes take Wen and Don’s attention as they explore the myths of the old gods in a sacred landscape. Cat’s cradle as sacred geometry, the mystery of the shepherd’s crook and why there had to be four-and-twenty blackbirds are just a few of the odd themes Wen and Don are able to link as they continue their romp, learning of Merlin and Odin and how, in symbolism, there is nothing new under the sun. How is it possible to hide such a story… the hidden history of Christianity in Britain? Oh, there are legends of course… old tales… Yet what if there was truth in them? What was it that gave these blessed isles such a special place in the minds of our forefathers? There are some things you are not taught in Sunday School. From the stone circles of the north to the Isle of Avalon, Don and Wen follow the breadcrumbs of history and forgotten lore to uncover a secret veiled in plain sight. …. something was spawned up on the moor… something black that flew on dark wings. It heeds not time or place… but it seems to have developed a penchant for the travels of Don and Wen…. Things are getting serious… Exactly what is Wen doing with that crowbar and why is she wearing a balaclava? All will be revealed…or will it? For once, Don was right… it was all Wen’s fault. Don and Wen should hand themselves in and share the fate of their co-conspirator. It would be the noble thing to do. Does this course of action appeal to our errant duo? As Ben languishes in the dank cells of Bakewell Gaol, Don and Wen hit the road. Their headlong dash for freedom takes them north, where they are beset by a host of ‘Orphan Stones’ clamouring to be led back home. No-one knows who they are… But why do they dance? What is the story behind this magical spectacle? Don and Wen set out to investigate. Old Fox wanes with the fading year, his fur touched by the silver of frost. Can he hold his realm against the ghostly challenge of the Demon Dogs? Where is Mister Fox? The night howls in triumph… pale eyes watch from the shadows… It is the night of the Hunter’s Moon and the dancing ground should be alive with flame as the Foxes dance in the dark. But the dancing ground is deserted. They are gone. No earthly light pierces the gloom, only the sickly glow of a veiled moon. Don and Wen stare in disbelief. Whispers in the shadows, a faceless voice, a tale of ambush and betrayal… of Foxes driven from their home and scattered, condemned to wander far from their ancestral lands. Charles James Fox wounded… none has seen him since that fateful night. Will the Hunter’s Moon pass in darkness? Have the Demon Dogs succeeded in their mission to bring eternal winter to the land? Or will their celebrations be short-lived? Lore Weavers is a collection of ancient tales retold. All traditional cultures evolved stories through which the natural and supernatural worlds could be explained and approached. 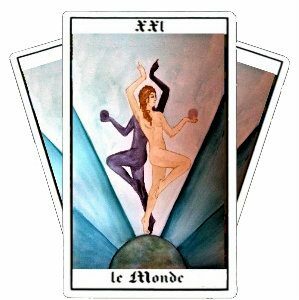 Beyond their entertainment and humour is a deeper layer of mystery and symbolism through which the wisdom of the people could be transmitted. Telling of a time beyond human experience or memory, these tales meld a knowledge of the natural world with the spiritual and moral code of their creators. The essence of the human quest for an understanding of our role within creation has changed little over the millennia. From the Dreaming of the Australian peoples, to the Great Mystery of the Native Americans and the ancient Celtic myths, there is a common thread that unites humankind across time and distance. It is in the rich tapestry of folk tales that we glimpse its multi-hued beauty. Long may they continue to be enjoyed. “Couldn’t you make me into a Bull?” asked Coyote. In a time before Man walked the Earth, the Great Spirit breathed life into the land. Coyote was the First. Playful, subversive, curious and sometimes comical, he and his fellow creatures shaped the world for those who were to follow. Coyote is a Native American Trickster and hero of many adventures.Tales of Coyote were passed down and shared with the young to illustrate the dangers of being human. Wilful, headstrong and always in trouble, Coyote journeyed through the spirit worlds, stealing fire and outwitting Death. When the Earth was loved as a living being, the rocks sang and the trees danced. Animals uttered Nature’s wisdom and the sun rose and set upon a wondrous world. The echoes of this magical landscape can still be found in the myths and legends of many cultures. They represent the weaving of the human spirit and the silent lore of creation. The Mystical Hexagram explores a symbol. Not from some scholarly or deeply complex perspective, but seeing it as a representation relating to life and living. The forces and pressures that are associated with the hexagram are, after all the forces of life at both practical and Universal levels. By exploring and beginning to understand the symbol, we are able to learn and discover more about ourselves. The meditations throughout the book take you on an inner journey of exploration, discovering the parallels between the self and the greater reality within which we live our lives. They illustrate the connection between the inner and outer world of the self and the cosmic forces of Creation. Having traced that connecting path, the meditations offer a practical way of applying that understanding. In addition to the exercises the book includes two very special meditations, The Garden of Remembrance and the Circle of Healing. These two you will want to revisit many times, taking away from the experience a sense of peace and beauty. In forgotten ages, the stories tell, the gods lived and ruled amongst men. Many tales were told, across many times and cultures, following the themes common to all mankind. Stories were woven of love and loss, magic and mystery, life and death. One such story has survived from the most distant times. In the Two Lands of Ancient Egypt a mythical history has been preserved across millennia. It begins with the dawn of Creation itself and spans one of the greatest stories ever to capture the heart and imagination.Myths are, by their very nature, organic. They grow from a seed sown around a hearthfire, perhaps, and the stories travelled the ancient highways, embellished and adapted with each retelling. Who knows what the first story told? In this retelling of the ancient story it is the Mistress of all Magic herself who tells the tale of the sacred family of Egypt. “He asked me what it is with balls…why I love them so much. I had a think about that. It is ‘cause they fly. Like birds. I’m supposed to chase birds. I’m a bird-dog. ‘Course, she won’t really let me. It doesn’t stop me barking at ‘em and seeing ‘em off from my garden. But it isn’t the same. Somewhere, deep inside, I know what I am supposed to do, what I am supposed to be. But I can’t be that for some reason… things aren’t quite set up right for me to chase birds all day and bring them back to her. On the other hand, that’s who I am…and you can’t be anything else than that… so the balls let me be myself in a world where I can’t catch birds all day. Take a life with a small dog in tow, add a dash of red hair dye, a selection of crumbling biscuits and a passion for recitable verse… The result is a recipe for laughter. Sue Vincent and the small dog share a world in verse. A collection of fifty-two poems of life, love and inspiration. There are joys for which we cannot find expression, moments that have a depth of emotion that can only be shared in images. It is here that poetry comes into its own, for the pictures we paint with words can conjure all the emotions of the human heart. From solitude to passion, from aspiration to the quest for the soul’s inner light, we seek to find ways to share our journey through life, to witness our footsteps as we pass through its shifting sands and cast a reflection on time itself. The poet is both mirror and reflection, framing the images of a human life and giving them a beating heart. Rhea Marchant heads north to the wild and beautiful landscapes of the Yorkshire Dales where she is plunged into an adventure that will span the worlds. The earth beneath her feet reveals its hidden life as she and her companions are guided by the ancient Keeper of Light in search of artefacts of arcane power. With the aid of the Old Ones and the merry immortal Heilyn, the company seek the elemental weapons that will help restore hope to an unbalanced world at the dawn of a new era.